A hilly landscape, which was formed by the last Ice Age, with wide meadows and fields is located in the north of Waren. Despite the exceptional beauty of nature and varied localities in this region, only a few bicycle tourists use the routes outside of the Müritz National Park. 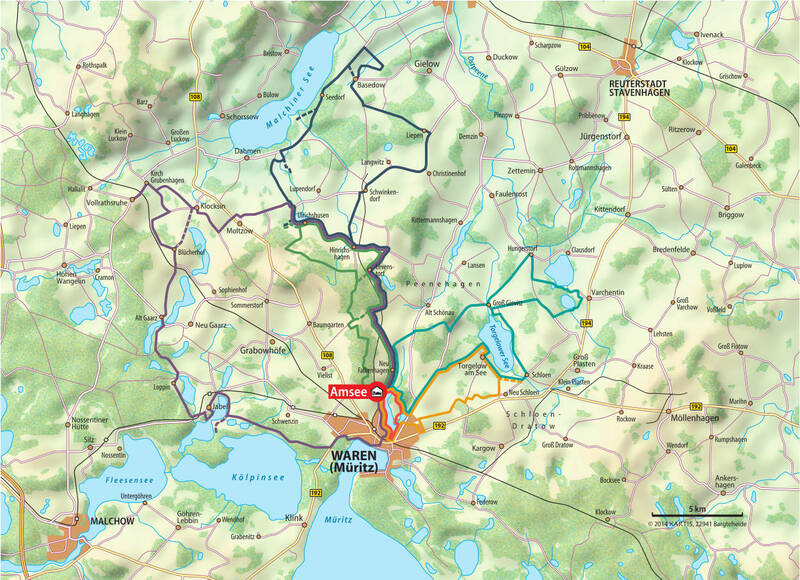 With our in-house bicycle guide, we would like to show you options to explore this largely unknown yet exciting region that includes the “Mecklenburgische Schweiz” (the Switzerland of Mecklenburg) Nature Park and Kummerow Lake as well as the Nossentiner / Schwinzer Heide Nature Park. Experience the unparalleled landscape, the nature parks, small villages and catch a glimpse of manor houses and country-side mansions on your bicycles. You can avail our in-house bicycle guide containing information about the region and six individual bicycle routes for € 3.00 at the hotel reception.